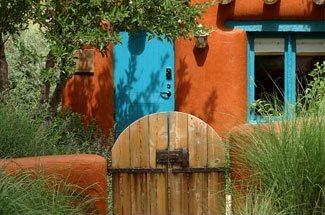 Santa Fe is one of the world’s most treasured cities with a stellar reputation for the arts. The historical influence in the city is evident everywhere, from the architecture, the food, the art, the people, and of course, the shopping. Shopping in Santa Fe certainly is not a new experience. 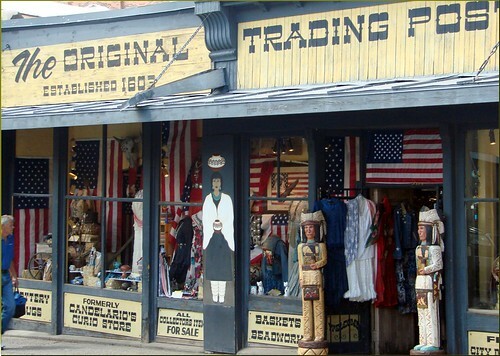 Historically, Santa Fe was considered a legendary trading center, dating back to the days when traders used the Santa Fe Trail to bring essential and luxury goods to the southwest. Fast Forward to today, and you’ll find that Santa Fe shopping takes you on a journey into charming historic buildings filled with handmade treasures. The many wonderful shops of Santa Fe provide access to Native American artwork and unique handmade items of delight in small boutiques, trading posts and large open air markets. 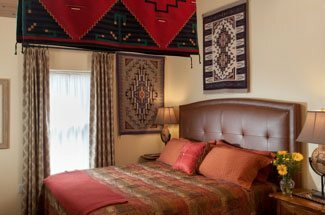 Book your room at our luxury Santa Fe Bed and Breakfast today, and join us for spring-filled days of glorious Santa Fe shopping. In a world where online purchasing has become commonplace, it’s not often that we dedicate ourselves to the seemingly mundane task of browsing from store to store, in search of something that speaks to us. In many cities, where stripmalls are the go-to shopping experience, shopping doesn’t even feel like an interesting or personal experience anymore. But in Santa Fe, like so many other things, the shopping is truly different. Santa Fe, known as The City Different, prides itself on the abundance of local, independent, and boutique shops that populate local storefronts. Just step into the popular indie book store Collected Works, or consignment store favorite Double Take, and you’ll know exactly what I mean. You really will be able to find everything you’re looking for, and probably things you didn’t even know you were looking for, including jewelry, clothing, hand tooled cowboy boots, handmade furniture, handwoven rugs, Native American pottery, dinnerware, home décor, specialty foods, books about the Southwest and so much more. If you’re looking for a concentrated area of Santa Fe’s best treasures, then try browsing along the stores of the Santa Fe Plaza or the new Railyard District. If you’d like a slightly more upscale version of Santa Fe shopping, then head to Canyon Road. Here, you’ll not only find numerous art galleries, but also jewelry, leather goods, imported gift items and even great restaurants where rest a bit before you head out for more shopping. Consignment stores in Santa Fe are wonderful places to find a piece of the Southwest to take home with you, as are the often forgotten museum stores, like the one at the Wheelright Museum or the Georgia O’Keeffe Museum Store. Book your room at our convenient downtown Santa Fe Bed and Breakfast, and get ready to shop ’til you drop!